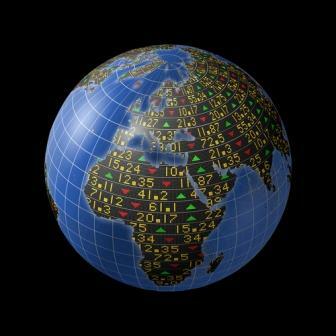 Top News on Emerging Markets: Despite geopolitical events sparking market volatility, a few major emerging market exchange traded funds (ETFs) have been reacting well, flying in the face of the global news on emerging markets. Additionally, emerging markets stocks gained for a ninth-straight day on Wednesday following an optimistic U.S. payrolls report and a jump in factory orders, adding to market confidence that the global economy is recovering. "We're seeing that the economy is recovering," First Citizens BancShares chief investment officer Eric Teal told Bloomberg on Wednesday. "Still, uncertainty on the geopolitical risk with Russia continues to be an overhang for the emerging markets." It's extra surprising when frontier markets, seen as volatile and high-risk (but great for lofty returns over the long-term), chug along seemingly untouched by unsettling global news that should shake up emerging markets. But frontier stocks can be less volatile than some might think. The way to gauge volatility is to look at a stock's "beta" value – a measurement of its market risk, where one observes the degree to which a stock's price fluctuates relative to the overall market. A beta of one indicates that a stock moves with the market; great than one is more volatile; and less than one means the stock is less volatile than the market. The iShares MSCI Frontier 100 ETF (FM), a frontier market ETF weighted toward the Middle East (62.26%), beat market volatility odds when it went up 3.78% in March – and almost 9% so far year-to-date. FM's beta when compared against the S&P 500 is 0.71, indicating that it's less volatile than the market according to iShares data. And FM hit consecutive all-time highs at the end of March. This ETF is actually the largest frontier ETF. In 2013, it gained an impressive 23.7%. FM's sector breakdown is primarily comprised of Financials (with 55.55%). Its other sectors, in order of weight, are: Telecommunication Services (13.8%), Industrials (10.8%), Energy (7.81%), Consumer Staples (6.45%), Materials (2.88%), ST Security (1.45%), Utilities (1.2%), and Health Care (0.65%). FM's focus on Financials is because it wishes to attract investors more interested in stocks and industry growth. And indeed, FM's highest growing sector as of March 2014 was Financials. "Asset managers are buying frontier markets as they seek to mitigate risk by investing in securities that don't move in lockstep with global stocks," HSBC Global Asset Management senior product specialist David Wickham told Bloomberg. FM isn't alone in its March gains. Another frontier ETF, PowerShares MENA Frontier Countries (Nasdaq: PMNA), that's even more weighted to the Middle East (81%) compared to FM, is up 5.98% since early March. PMNA's top holdings are Kuwait, Egypt, UAE, and Qatar. Diversified emerging market ETF iShares MSCI Emerging Markets ETF (EEM) posted a 6.78% gain over the past month. And combination emerging/frontier market ETF EGShares Beyond BRICs ETF (BBRC) is up 5.98% in the past month.